In 1948 when Dwight Eisenhower made a speech about fighting child hunger, he invoked the great resilience of America in overcoming challenges. He used the example of June 1944 just after the Allied Landings of D-Day to start the invasion of Nazi-occupied Europe. A massive storm struck the coast, and the destruction it caused could have severely harmed the Allied forces. But even greater than the storm was the resolve of America and its allies in overcoming obstacles. Right now these global hunger fighting programs are in serious jeopardy of more budget cuts. Afghanistan, South Sudan, Yemen, East Africa, the Sahel region of Africa and many other areas are suffering from severe hunger and malnutrition. Food for Peace and McGovern-Dole donations make a huge difference for these crisis points. But if not enough resources are provided to these hunger fighting initiatives, then the enemy of hunger can live to fight another day. 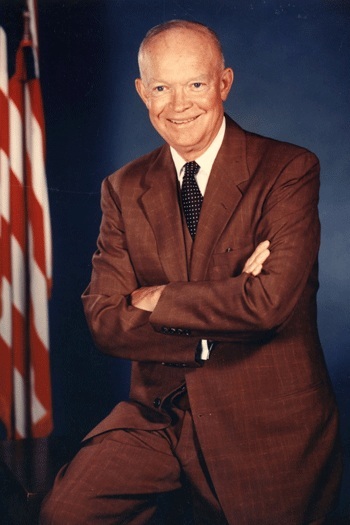 Article first published as Eisenhower Believed Allied Victory Was Inspiration for Fighting Global Hunger on Blogcritics.